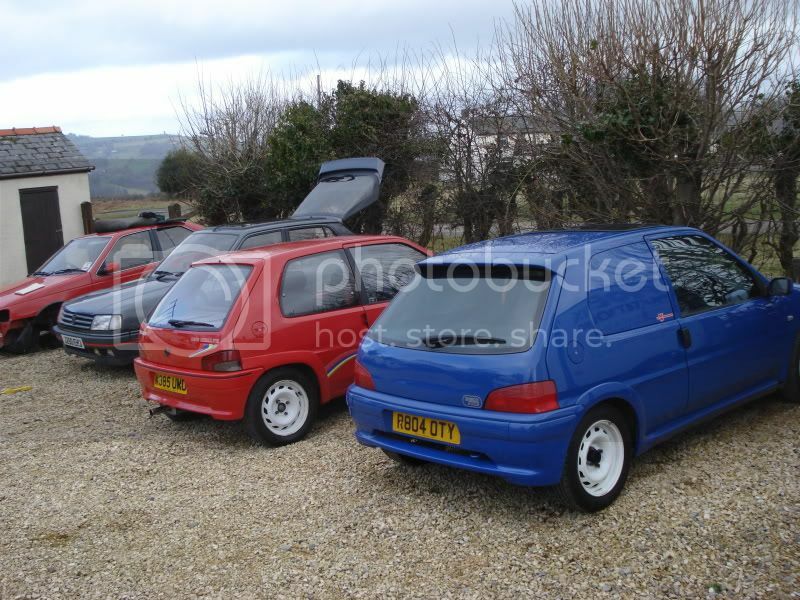 i have a few 106 rallyes that im breaking up for parts. 30: 14" S2 rallye steels £150 in good good condition with very good tyres. PLEASE NOTE! All prices are excluding post. We also ship international Please ask for postage quote`s. I think they are very reasonable prices but still open to offers on most parts. All small parts will be posted with royal mail first class and larger items with dhl 48hr service. 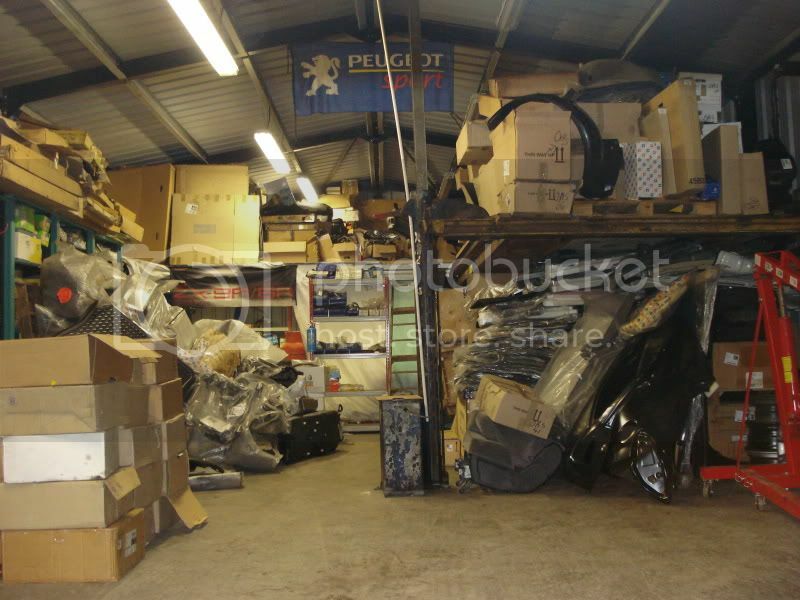 I can also arrange for pallet collection for bottom ends/complete engines or bigger orders. Most parts are on the shelf so will be dispatched same day if ordered before 2:00pm for next day delivery otherwise they will be dispatched the day after,This only applies to small parts. All dispatch times will be given before orders are placed so you will know when to expect your parcels and will not be let down as some orders may take a few extra days than normal to complete. Please read our return policy before purchase. All returns must be made within 14 days of purchase date,anything after that i'm afraid we cannot process. All returns must be wrapped very well to prevent damage as damaged returns cannot be refunded. we will then inspect the part and either send out a replacement or send you a refund, we cannot be held responsible for return costs i'm afraid. Please make sure the part you order is correct for your car before purchase as we cannot refund mistake purchases im afraid. Last edited by pugplus! ; 12-09-2011 at 03:52 PM. hi, sorry i dont at the moment. i need a standard exaust for a s1 rallye from the cat back? Do you have a good condition cherry red bonnet? Got 306 gti6 front brake set up? 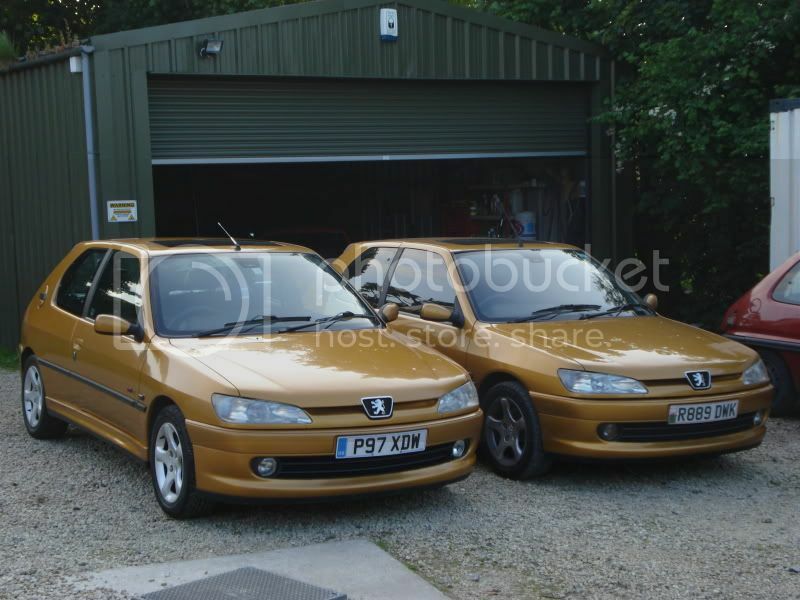 i may have a brand new genuine peugeot exhaust if thats anygood to you. hi, sorry not in cherry red i think i have a white bonnet ill check today and get back to you. the one in the pic with the van is not breaking but the one with the multispoke wheels is. im breaking it because the laquer was gone and it had a sunroof!!! hi sorry not at the moment. i should have some in soon though. do u have a red interior carpet??? hi, i should have one in next week if you get in touch then ill let you know. Hi I was wondering if you have a s2 rallye indigo rear bumper?? how much delivered to Ba22 8nb? hi sorry i only have 1 set at the moment and im keeping them for my rallye. i should have some soon though. hi i have the one in the pic up the top of this thread £45 inc post. ill get back to you shortly with a price. hi sorry i have nothing at the moment but i usually sell them for £100. i should have some in soon. 205 xs 4 branch exhaust? Yet another request not for me but a friend, I need a set of cambelt covers & a backing plate? for a 1.9 309 GTi engine? 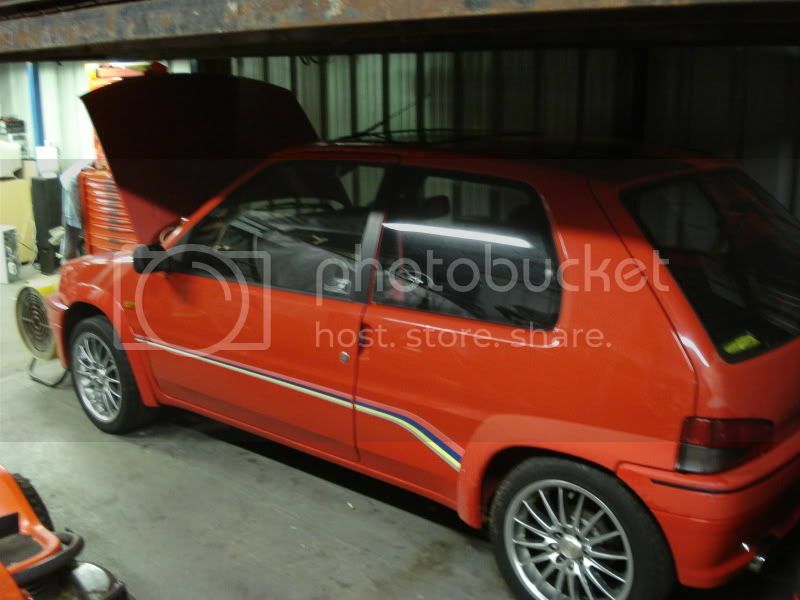 Possibly the same as 205 gti items? no 4-2-1 manifolds at the moment sorry. hi, i think i have the full set ill check and get back to you shortly. Hello do you have the roof lining for a non sunroof s1? Do you have cherry red arches off any of the S1's? If so, would you consider splitting and selling and individual arch? hi i will have one in next week for you. ill be in touch thanks richard. hi yes thats fine i think i only have the two rear arches though. Oh ok, I'm after a passenger side front arch. No worries. Also do you have front/rear bumper from an s1. Preferably in cherry red. hi sorry all bumper have gone at the moment but i should have some in next week. water pipe that goes from stat to heater matrix ? Do you have any s2 rallye steeles?? Do you have a decent S1 Rear Beam? Looking for a double plug lamba sensor?? hi, yes will do no problem. hi sorry i cannot help with that at the moment thanks richard. hi sorry not at the moment thanks richard. hi i have a gti rear beam if that any good to you. hi yes i should have one ill check and get back to you shortly thanks richard. hi i think i have them in white ill check and get back to you shortly thanks richard. 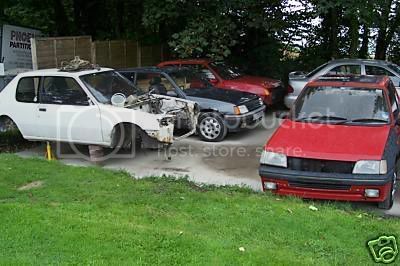 Price on a S1 Rallye loom, ECU, inlet manifold, throttle body & related sensors? hi, i think i have a loom and ecu here. ill check tomorow and get back to you thanks richard. hi yes im pretty sure i have one its just finding it. ill have a look tomorow and get back to you. hey mate dont worry about the door now, just the drivers wing and arch in white for an s1 if you hav them mate? ok no problem ill check tomorow for you. I need a standard exhaust to fit my S2 Rallye. Must have a cat! Need ASAP, before Feb if poss. Also need a full lock set. Both doors, ignition, and as many keys as possible. Posted to NG31 9SX as im too far away to collect. Last edited by Alex_Rallye; 25-01-2010 at 07:40 PM. how much for a gti rear beam? 106. 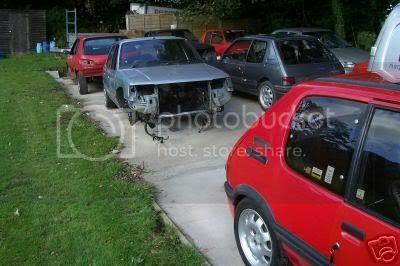 Got and 205 1.9 gti engines or the 309 ones not fussed which? How much for gti 6 gearbox? Even that mi16 engine, if its the 1.9!! do you have a standard exhaust for a s2 rallye???? hi again, just had alook now and sorry i cannot help at the moment in white. hi, do you only need the engine casting?? not the water pump,outlet pipe etc? hi, did you want a complete exhaust from cat back??? i cannot help with the air intake sorry. hi i have a few people who want a s2 exhaust so ill have a look how many i have then ill get back to you. thats ok mate, do you think you will get any in soon? That 33" Xsi driveshaft, mate?